There are just some things you want to have in your kitchen pantry all year long. Next to an endless supply of chocolate, basil is one of those things. Maybe you’re a huge fan of fresh pesto. Or, you just can’t get enough of freshly chopped basil in stews and other dishes. If you buy basil in bulk at the farmer’s market, or harvest large quantities from your garden, you may not be able to use it all at once. And it’s so frustrating to watch it all go bad after just a few days. 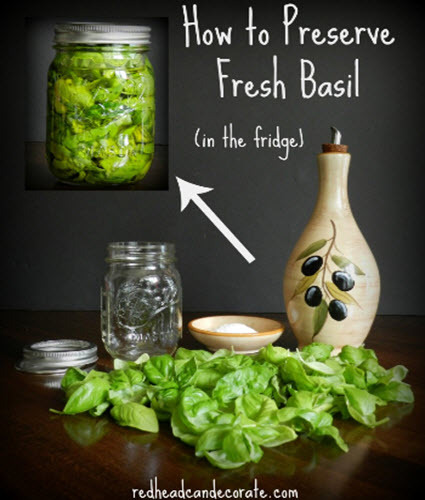 Take steps to preserve your basil abundance for up to a year.